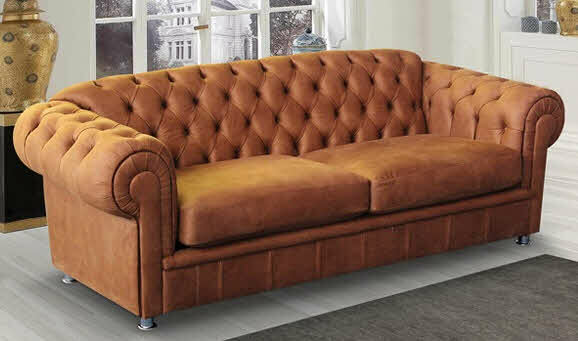 Tufted elegance at its best. 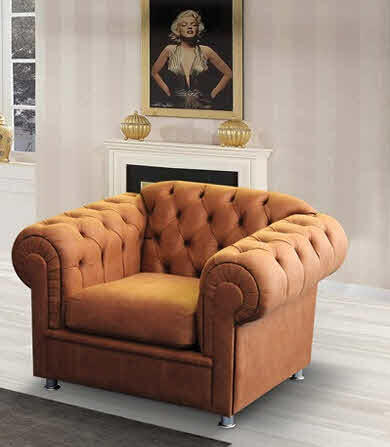 Glamorize your Mexican Living Room with our Chesterfield sofas, love seats and chairs. We are most honored to present a vintage icon now reborn to grace your Mexican living room. The Chesterfield sofa received its name from the very first person who commissioned it: the 4th Earl of Chesterfield. The Earl wanted a comfortable, elegant sofa in which his guests could sit at ease and very properly (with good posture) while not wrinkling their clothes. The Chesterfield evokes images of landed gentlemen sipping whiskey and smoking cigars. Downton Abbey, anyone? Nowadays still a staple of elegance and class, the sofa has been updated, reinterpreted and most definitely brought back to stay. 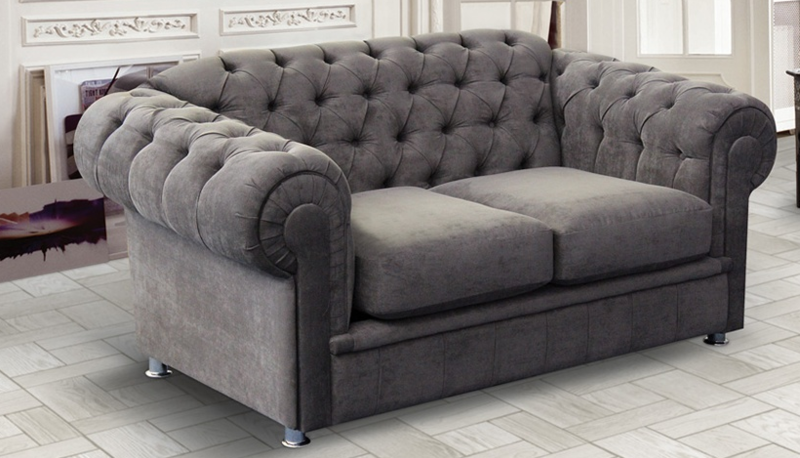 Because you should always feel like royalty in your own home, we definitely recommend the Chesterfield Gringo sofa for your home in Mexico. Available in a variety of fabrics and colors. Available in loveseat and chair as well.